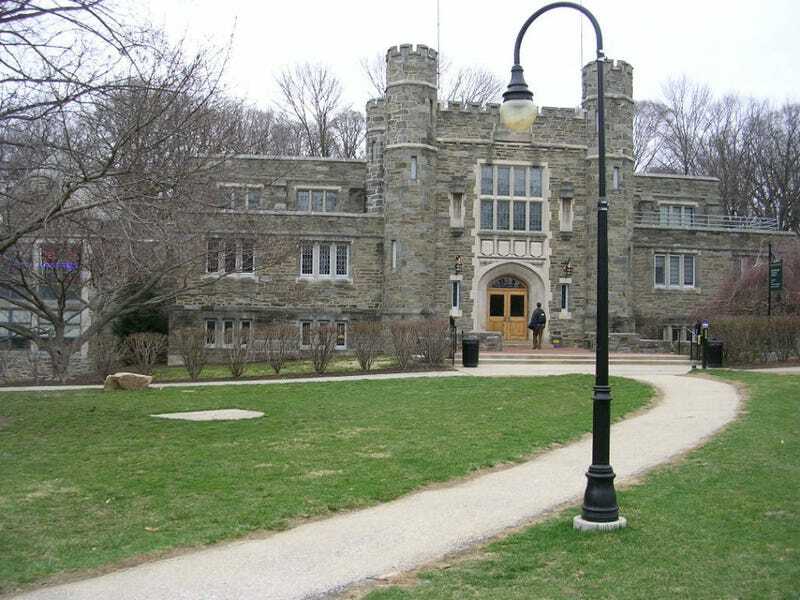 Bryn Mawr college announced Monday that after "months of study and consultation," they've decided to clarify their admissions guidelines to make the school more welcoming to transgender women as well as intersex and gender non-conforming people. Avoiding a well-defined policy does not allow for greater inclusivity in admissions; on the contrary, it creates unnecessary and discouraging roadblocks for trans, nonbinary, and gender nonconforming students applying to Bryn Mawr. The Bryn Mawr community deserves a clear, intentional, and well-articulated admissions policy protecting all prospective students, including trans, nonbinary, and intersex students, and especially trans women. In addition to a comprehensive admissions policy, we need campus protections and support for trans, nonbinary, and gender nonconforming students and applicants. Without these basic changes, Bryn Mawr cannot claim to be a women's college or an advocate for gender equality. Specifically, the board-accepted recommendation strongly affirms the College's mission — to educate women to be future leaders — and in this mission context more clearly articulates the eligible undergraduate applicant pool. In addition to those applicants who were assigned female at birth, the applicant pool will be inclusive of transwomen and of intersex individuals who live and identify as women at the time of application. Intersex individuals who do not identify as male are also eligible for admission. Those assigned female at birth who have taken medical or legal steps to identify as male are not eligible for admission. Cassidy's statement adds that in some cases, "where an applicant's gender identity is not clearly reflected in their application materials," Bryn Mawr might ask for additional information "which could include verifiable legal or medical steps taken to affirm gender. In evaluating such additional information, the College fully intends to be as flexible and inclusive as possible."